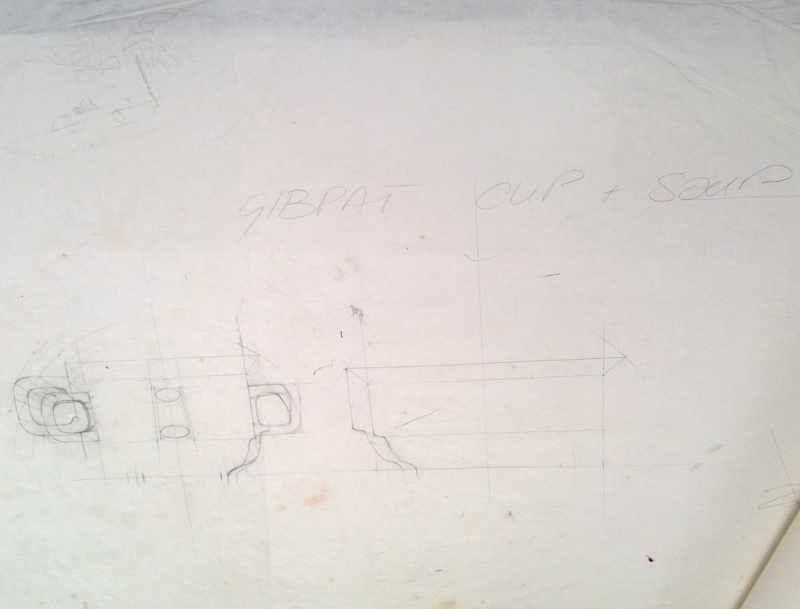 A slim stacking cup with new GibPat Crown Lynn NZ back stamp. I don't think Gibpat's Metro series belongs with the hotel stacking series. Round bottom stackers have appeared here but the Metro range has different handles. What number could it be? Vit rather than stoneware I guess so 36xx. This was produced after 1984 which is the timeframe for the records that we have and there will be plenty more shapes to come in those 5 years of missing records. That is so great! I found it for 20cents and 5 minutes before closing in a second hand shop in Otaki. The shape of the handle made my purchase it. Ev, The back stamp on this cup is different to the GibPat Metro one already in the gallery. This one has NZ printed on the base and the one in the gallery says New Zealand. Should it go in the back stamp gallery? Yes I did notice that and hadn't decided what to do, but the Modellers notes say that the Metro range was made in 1989 so it may be one of the last stamps they made, so I will add it thanks. The Portage site give the dates for the Metro range as 1985 to 1989, so I will change the backstamp date to that. 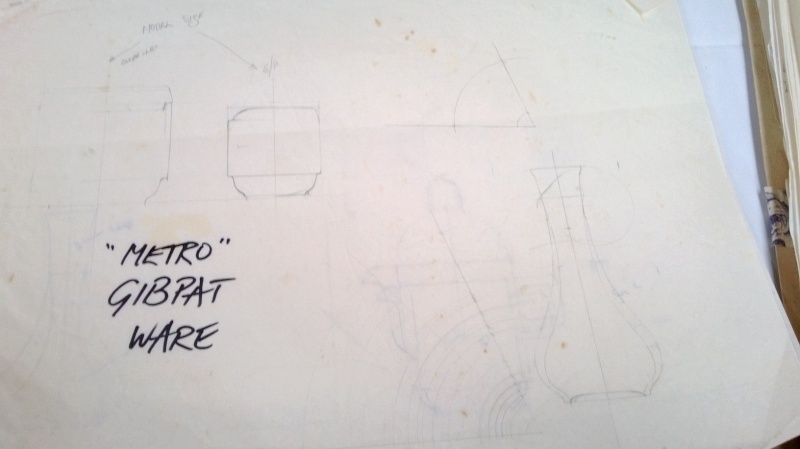 Here are the Modellers drawings of the Metro Ware, note that there is a salt and pepper and a soup bowl that we don't have yet as well as the jug. The 1060 white vase in the gallery is the Metro vase from the modelers drawings . Yes I got the number from the Portage site for Heather's Metro vase and it's 1690 with the second number being a 6 we know it is vitrified for hotel use and the like. 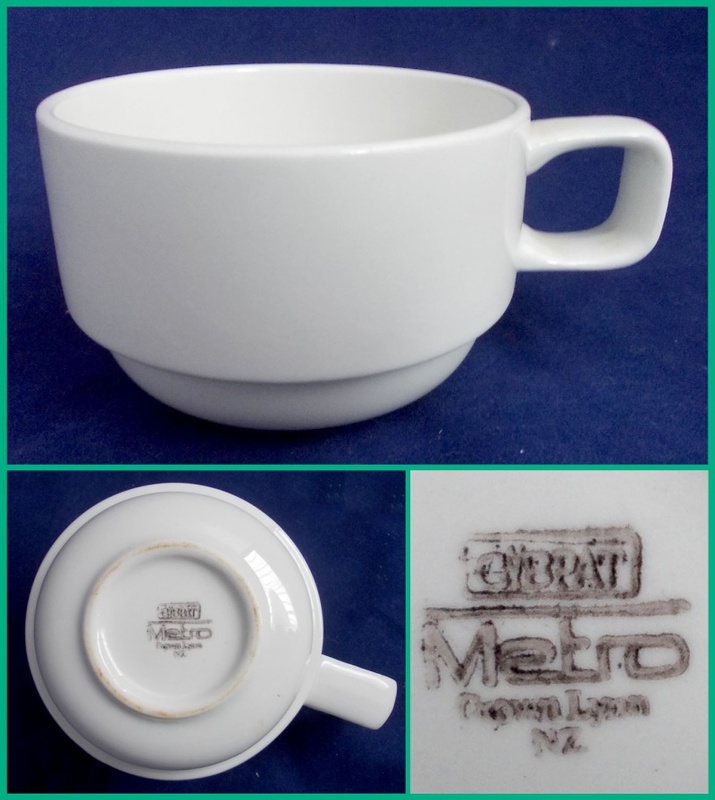 And now there is a Metro GibPat 1060 listed on Trade Me including the Metro in the back stamp.